In the present age of digital publishing, we are looking at new tools shaping up our future every day. Recently, we had formats like Mobi, RTF, Epub get their biggest updates ever. The publishing tools are adding new features with every new update. These updates, in turn, make life easier for people who intend to read eBooks and e-text materials. When we look at the publishing prospects, these new tools and programs are giving opportunities to extend and go beyond. Now, every publishing company worth its salt is trying to go beyond the usual. Scalable Vector Graphics (SVG play an essential part in doing so. Now, every publishing company worth its salt is trying to go beyond the usual bounds of just content. Presently, they are preparing the texts to reflect more complex features like graphics, audios and more. In the present age, you are getting options beyond the usual to explore the capabilities of writing. With new ways of telling the content. Scalable Vector Graphics is something related to the preparing and showing of two-dimensional graphics. For the most part, Scalable Vector Graphics (SVG) is a XML-based vector image format. 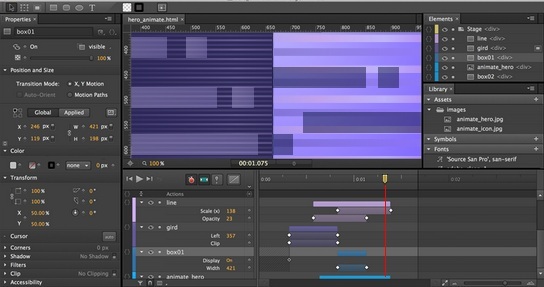 The format which supports not only image properties but also animation. Now, how do we understand what is the Scalable Vector Graphics (SVG) format? It is essential that we know much about Vector images. Many publishers who use Vector images, will tell you that this is a form which will allow you to change pictures. Irrespective of the format of different dimensions without losing out its quality. Of course, this is the basic quality of scalability, as you can perfectly maintain the image properties. You can practically, drag, expand, and contract an image and still get the same image quality. This feature makes them very adaptable when it comes to using them on web pages. Also, and other media content. Scalable Vector Graphics (SVG), therefore, operates on the same vector image formatting capabilities. Hence, publishers and authors, use SVG in new formats of eBook preparations like Enhanced EBooks, Children Ebooks, etc. They are most useful within these as now there is more interactivity within the readers. Imagine a situation where you are reading out a children’s book to your kid, and come across an image which will help the kid understand it better. What do you do? You perhaps click on the picture and show your kid what it all means. But then, wouldn’t it be wonderful if you could expand it, zoom it out and show the image in detail. In this situation, the image needs to be protected for quality and make. Only then can you enjoy the readout sessions. With advances in Scalable Vector Graphics (SVG) makes and core systems, you can now not only enhance the image size but also include interactive elements in it. You can also go forward and make the animations in the smallest of details stand out as part of the expansion criterion. When we continue with the above example, with SVG’s support, you can zoom into the picture, and click on receptive fields, which then reveals new information about the pointer. That’s how you make eBooks interactive. And perhaps push the content support to newer heights. Although the concept of vector graphics has been doing the rounds in publishing from a decade past, most of the publishers have not put it to productive use. You may have seen a couple of books, which slightly touch upon the capabilities of the SVG format. Although, you know that Publishers use them sporadically. However, not fully exploring the options of scalability, point insertions, image hyperlinks and descriptions with Scalable Vector Graphics formats. This situation took a turn when eBooks came to the fore during the early 90’s, with formats like PDF, RTF, XHTML, SVG to PNG, SVG converter, coming to standalone devices. The Scalable Vector Graphics (SVG) specification came out as an open standard developed by the World Wide Web Consortium since 1999. This forum (W3C) defined the format in its adaptability and source usage codes. The factors like interactivity and animation were all infused into the codex, and this made it more easy to be used in the future formats. Also, the two-dimensional graphics which came about with the file added more value to the reading quality of the eBooks. This further ushered the revolution of eBooks technologies into newer heights. People showed more interest in lapping up eBooks than ever before. Why is this important for any reader or end user? What does this all mean to anyone who is looking at the eBook as a reader and not as a publisher? Well, to put it in simple words, you will find that the eBooks are more involving than any other. Also, you can search, save and use the images that you come across with the eBooks. These features which the W3C consortium played out with initially, went on to define the compatibility features with other formats. Presently, SVG images are being used in all kinds of eBooks to ensure quality and ease of reading. And more importantly, the feel of eBooks has changed a lot. When we say the recent eBook developments, we need to look at the latest eBooks with high-end graphics, particularly CBR (Comic Book Reader) format, and Multimedia Books. With Scalable Vector Graphics, you are reading the books in a way which is as close to the physical books. As we saw already, SVG file is a highly compatible image particular service which helps you cater to formats like HTML as well. We can see this clearly when we go through the new web browsers including Mozilla Firefox, Internet Explorer, Google Chrome, Opera, Safari, and Microsoft Edge, have SVG rendering support. All these browsers have the capability of opening and adjusting the image properties. The images you see which appear in different dimensions are all based on the SVG technicalities. 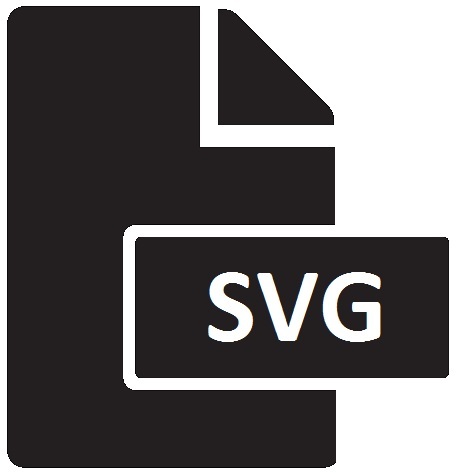 SVG allows three types of graphic objects: vector graphic shapes such as paths and outlines consisting of straight lines and curves, bitmap images and text. You can group, style, transform and compose, Graphical objects into content you already have in hand. What this technical hoopla, actually means is the scripts, or the Codex of SVG files are highly compatible with XML-based elements and reproduction. You can use the code in association with CSS style sheets in designing web pages, and markup web pages. On another way in which SVG shines through is that it allows you to infuse animations which allow further enhance the reading capacities of the material in hand. Till now you’ve known how the actual usage of SVG animation has become easier over the past few years of publishing evolution. Presently, Scalable Vector Graphics has become the norm to creating involving and engaging content both online and offline. However, there are some hurdles with SVG animation. Thus, you may find it a little difficult to use them in eBooks. We still have technical support for SVG which allows publishers to go ahead and use them. Though the SVG Specification primarily focuses on the vector graphics markup language, its design includes the necessary capabilities of a page description language like Adobe’s PDF. It contains provisions for vibrant graphics and is compatible with CSS for styling purposes. SVG has the information needed to place each glyph and image in a chosen location on a printed page. A print-specialized subset of SVG (SVG Print, authored by Canon, HP, Adobe, and Corel) is currently a W3C Working Draft. With these technicalities in hand, Scalable Vector Graphics becomes highly compatible with other platforms which run on basic HTML coding and also the complex support of XHTML as well. With W3C coming through on the promise to deliver timely updates which help the SVG bring compatibility with all the tools, you can practically use SVG within every platform either online or on an offline visual content creation. Most programs like Inkscape and Adobe Illustrator & Creative studio, give you the ability to create Scalar-vector images much in tune of Scalable Vector Graphics. You can create, save and export them to be used in various platforms like online presentations, eBook preparations offline, and usage in different other platforms. However, both these platforms operate in a variety of ways and offer various options for designing and developing SVG content. You can directly produce SVG images with the help of text editors can eventually be enhanced with Inkscape tools with ease. Scalable Vector Graphics makes life easier. You can infuse this into photo formats like GIF, JPEG, Interactive Media easily. Within Inkscape project, and with its newly announced version 0.92, you can easily and quickly develop SVG files, and further use them. The new features that you get with Inkscape are mesh gradients, CSS3 support, new path effects, interactive smoothing for the pencil input tool and more. With the Inkscape tool, you also get the format support of the new SVG animation version 3 which gives you more options to create involving images like never. Additional features you get while using Inkscape is the ability to manage drawing elements and more. You can also infuse Infrastructural changes in the further updates which are bound to come to the Inkscape engine and thus, in turn affecting the Auto tools which generate SVG files. Within Inkscape, you also get the ability to define the end products in which you may use the Scalable Vector Graphics. Thus, you can protect the future usage rights of the image. SVG images can be created and edited with any text editor. With the base for the creation of SVG files coming from the text editor codes, you can define the behaviour of SVG files with the text editors. However, the development of Scalable Vector Graphics is taken up by graphical visual editors like Inkscape and Adobe Illustrators. SVG images can be searched, indexed, scripted, and compressed. In this present age of publishing, this is of excellent use. Every publishing company would want to use SVG file to process, compress and share it amongst their editors, and designers. Now, the features of compressing the images become more important when you are transferring the images through online mediums. Scalable Vector Graphics images are more scalable than other images. This statement may look as an ironical one, but then the relevance of it is high. The main feature of using an SVG file in the first place is the relative dimension compatibility. You can print SVG images with high quality at any resolution at any given point of time. Apart from this, You can zoom SVG images within open standards, and construct them as per the framework of pure XML. With Vector graphics you get a significant advantage of flexibility. With CSS, you can quickly change the graphics settings on the site, such as background colour or the position of the logo on the page. To do this, you can edit the file in any text editor. You can also use graphical drawing tools to achieve this. As you can see from the above discussion, you can form SVG images in multiple avenues. Of course, it is always better to choose offline tools over online tools. As online tools have the tendency to work on flash loaded windows, there is always a chance of you losing data. Thus, offline tools are better in this regard. Also, you may have a look at the list of a sufficient number of tools which help you make SVG images. When you work with SVG, you can’t leave its coordinate. You will have to ensure that you maintain the coordinates of creating the image. So that when you work with the image dimensions, you maintain the quality. This interactive tool will help you achieve the scalability on a regular basis. You get the orange and purple line while preparing the SVG tools, which you can use to map the image. This way you know exactly where you will make image dimensions. One of the online tools which allow you to convert your jpg or BMP images to SVG icons and formats quickly. B64 is a simple tool to optimise images then turn them into the base64 format. You can drop your SVG images (other formats such as JPG and PNG work too). Also, then grab the CSS with base64 background-image as a result. Thus, you don’t have to worry about getting the images to work for you over mediums like web pages and documents. As with Scalable Vector Graphics, you can use them with no image quality loss. SVG OMG turns the command line of SVGO (the previous tool) into a GUI version. This makes it more intuitive and easy to use. You just have to toggle the buttons to activate or deactivate each feature. In the end, you can grab the result as image files and code as well. The only catch here is that you may need to work with the command lines. Also, have a basic knowledge of coding and its effects. If apart from the professional needs, you want to experiment with the images for your personal use, you may use this. Also, the eBooks which may want to use cool looking covers, this is your go-to tool. You can play around by changing the options value, then download the results with the ‘Save SVG’ button. Thus, you have Scalable Vector Graphics to be usable in any medium and content. If you use Photoshop for your graphical needs, you will find this online tool to be useful. As the name implies, you can export PSD to SVG converter and save the output as Scalable images. Sometimes you might need to convert your design on the Photoshop workspace into SVG. Interestingly, although Photoshop is an all large format which supports all image formats, it has no support for SVG. If you want to have the support for SVG within Photoshop, you need the Script for this tool. Copy it to the Adobe Photoshop/Presets/Scripts folder. Scalable vector graphics are most important when we look at the new publishing scenarios. One look at the eText files, you will see just how valuable and engaging the use of visual images are. Be it cover designing, illustrations, and artwork, poster preparation, you need them in making an eBook. However, you can see that making and using Scalable graphics can be a complicated task when you have a limited knowledge of coding. Add to that, if you wish to use these SVG content within your ebooks in the perfect manner, you may have to learn the whole HTML processing. This is where you will need to have a professional publishing services company which will ensure your needs. We are a highly reputed publishing services company, specialising in preparing digital eBooks which make your content stand out, with expert digital tools. With us, you can never have to worry about making your book as engaging as ever.